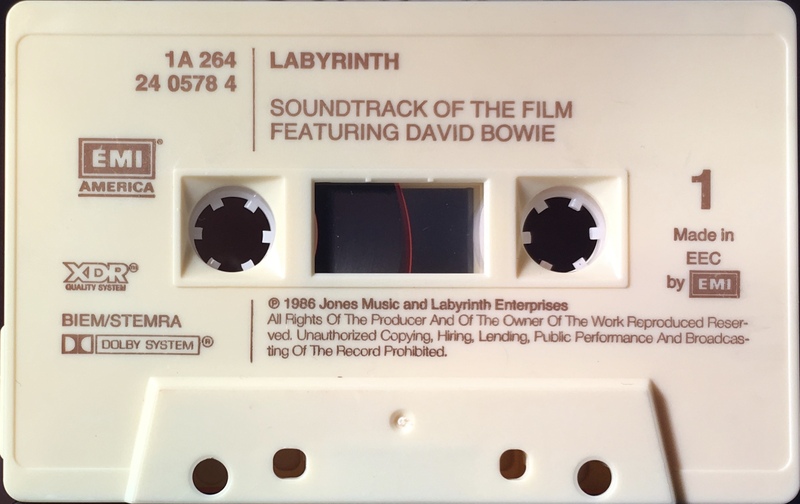 Labyrinth: Netherlands; EMI America, 1A 264 24 0578 4; 1986. Cover photo bordered in white with all white panels. Glossy, perforated paper with track list on the rear panel. Writing and performing credits on inner and inside panels. ‘XDR’ logo on rear panel and EMI Services Benelux information on inside spine and rear panel. Kant 1 & 2 on rear panel. 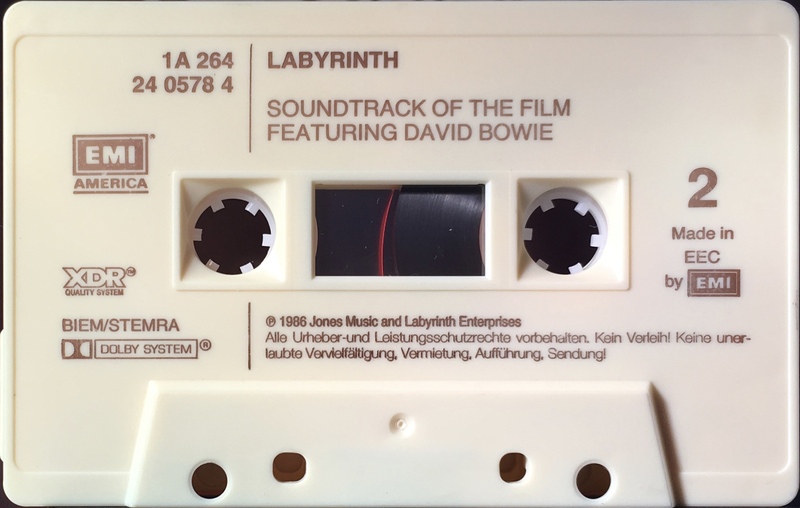 Black ink printed directly to cream shell; ‘EMI America’, ‘HX Pro’ and ‘XDR’ logos on the shell. ‘Made In EEC by EMI’ and BIEM/ STEMRA rights. Information in English on one side and German on the other.